According to the UN Secretary General Ban Ki-moon, because of frauds with finance the volume of losses in charity equals 30%, that is each three dollars/hryvnia/euro from ten offered settle in pockets of swindlers and do not reach final addressees. Only in the USA this sum is about 120 billion dollars a year. At the same time corruption affected even such organizations as the International Red Cross recognizing regular “disappearances” of funds from the accounts. So, in 2016 IRC “lost” one and a half billion dollars intended to the aid of Haiti affected by the hurricane Mathew. 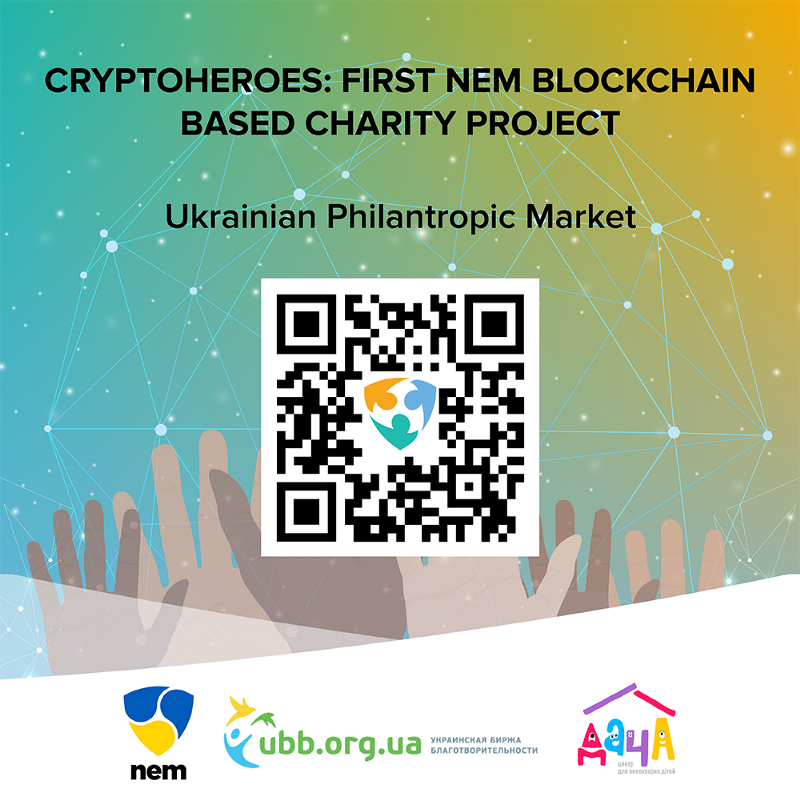 Joint pilot charitable project Cryptoheroes, initiated by teams of the Ukrainian Philantropic Market (UPM) and NEM.io Foundation Ukraine (NEM Ukraine) is designed to lay the foundation for the solution of this problem. The funds raised during the project will be directed to fulfilling the New Year’s dream of inhabitants of the children’s oncological family type center Dacha type, and the transparency of the project will be provided with use of NEM blockchain technology that will increase trust to charitable collecting. So, initiators of the project will create a cryptocurrency wallet, where everyone will be able to send funds in XEM cryptocurrency. Further transaction of raised funds from wallet is possible only with the consent of four of five participants (representatives of UPM and NEM). On completion of a campaign, which will last 10 days, from the 1st to 10th of December, funds in XEM will be converted into hryvnia (UAH)at the Ukrainian cryptocurrency exchange KUNA at the current exchange rate and transferred into the settlement account of the largest Ukrainian charitable marketplace — the Ukrainian Philantropic Market and spent on purpose. All documents, confirming the movement of means, purchases, mutual settlements, etc. 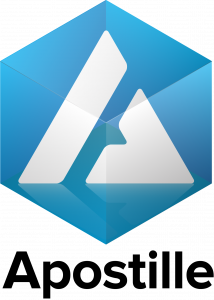 will be certified by Apostille blockchain service and published in open access on the Open Apostille service, so that everyone could be convinced of their reliability. The volume of the raised funds can be traced as on the website of the project, and directly in a blockchain to the address a NEM wallet. If we collect more funds than necessary, they will be transferred to new Dacha center building fund. Anyone can donate in XEM cryptocurrency to wallet. In exchange for the donation, person receives equivalent quantity of a token (mosaic) of the charity:cryptohero project which confirms participation in the project and reflects the cryptohero’s contribution in a blockchain. 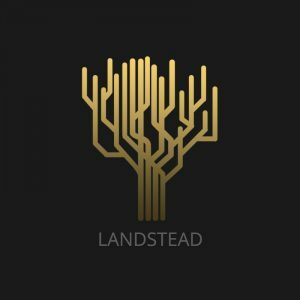 The wallet is multisigned and transfer of funds from is possible only with the consent of four of five participants. At the end of term of funds collecting transaction will be initiated, signed by and funds will be transferred to the Ukrainian cryptocurrency exchange KUNA. The cryptocurrency XEM will be converted at the current exchange rate into hryvnia (UAH) and brought to the settlement account of the Ukrainian Philantropic Market. Ukrainian Philantropic Market disposes of means according to the project purpose. Documents will be available on OpenApostille resource. Final stage of the project — transfer of gifts to children to the children’s family type oncological center Dacha. Blockchain can be described how a certain register which copy each participant of system has and which constantly updates it. At the same time she constantly refers to old pages (blocks) and if someone tries to change already entered information, then the system will address a set of the copies and will find falsification. Thanks to it the trust to participants of process is formed and need of involvement of the entrusted intermediary disappears. NEM.io Foundation — the organization registered in Singapore and which is engaged in developments in the field of technology a blockchain worldwide. Main objectives of the organization — introduction of solutions on the basis of technology a blockchain, training and contribution of its use by institutions and the organizations worldwide. The Ukrainian division of NEM Ukraine is a part of global team. UPM is unique and one of the biggest charity foundations of Ukraine, which helps to solve any social problem, thanking online to the https://ubb.org.ua platform. Oncology center “Dacha” — the project of Zaporuka charity foundation based for the children undergoing treatment for oncological diseases in Institute of cancer. Here they can live together with the family, without coming off family. During the existence by guests of “Dacha” there were more than one thousand children. 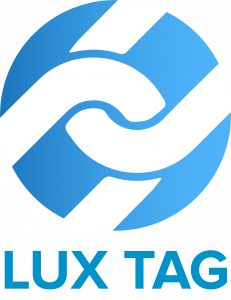 The team of the project is open to communication and discussions. You can ask all questions in ours https://t.me/NEMUkraineOfficial Telegram channel, and news and reports on the course of the project will be published in https://t.me/NEMUkraine Telegram channel.